The ancient town of Hội An celebrated the arrival of its 10 millionth tourist at the old quarter’s Japanese Bridge today. The city’s culture and sports centre said Hội An hosted 1.6 million tourists last year, a 34.14 per cent increase from 2015. Earlier this year, the UNESCO-recognised world heritage site was voted among the best 25 destinations in the world by travel website TripAdvisor. The city started selling package tickets for tourists in 1995, and this year marked the 10 millionth tourist to buy tickets to the old quarters and other destinations in Hội An. Hội An, 30km south of Đà Nẵng, was chosen for the 2013 Townscape Award by the UN-Habitat Regional Office in Asia. 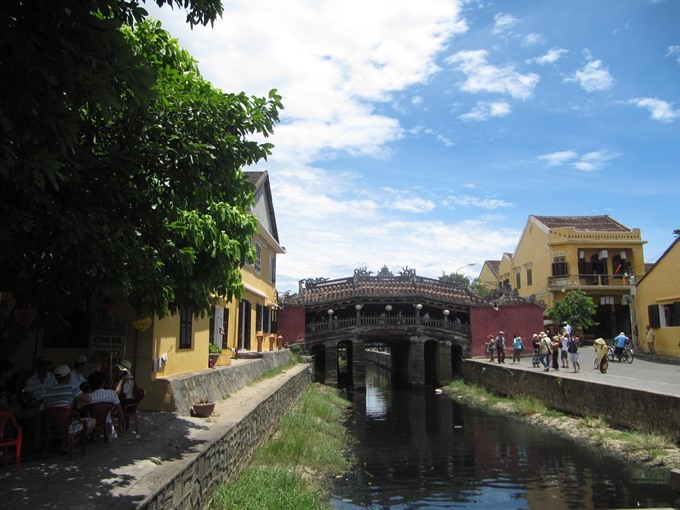 The ancient city’s Hoài River and its channels featured in the list of the 10 most-famous canals in the world, as announced by the US-based travel website www.touropia.com in 2014. The US magazine Conde Nast also listed Hội An among the top 10 Asian cities in 2012 following the maganize’s Traveler’s Readers Choice Awards.